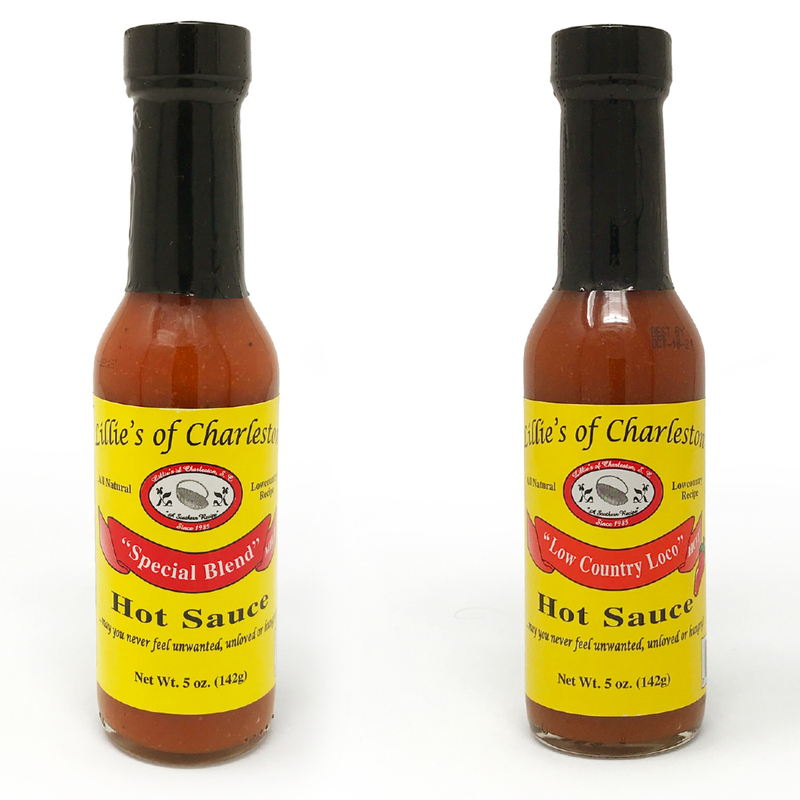 Small Batch Hot Sauces from Lillie's of Charleston - Choose from Hot or Mild! The best South Carolina hot sauces! Lillie's brings a perfected family recipe to enhance every meal. OUR BUYERS ARE OUR BIGGEST FANS - "A Charleston favorite! ", "Sriracha who?" - "A treat! Very tangy!" FIREY HEAT AND A WHOLE LOT OF FLAVOR - Dash it on chili, chicken, vegetables, wings and seafood. FROM OUR FAMILY TO YOURS - We take pride in our sauces and this one is a craveable masterpiece. NATURAL, VEGAN, NO HIGH FRUCTOSE CORN SYRUP - No artificial preservatives - check our ingredients!